This morning we left Dala Floda (after a very wet night) and headed for the town of Borlange for shopping, fuel and 🤞🤞LPG gas! On the way we passed through the town of Falun which was partly on our radar because of the UNESCO listed Copper Mine which was operated there for a millennium - from the 10th century until 1992! It was known as Sweden's treasure chest because it helped fund many of Sweden's wars in the 17th century, and it produced as much as two thirds of Europe's copper needs providing metal for castle roofs, church steeples, coins and household utensils! However these days it's main function is as a tourist attraction, but one that we decided not to visit - but I was quite interested in the relevance of the huge goat that stands guard at the site's entrance. 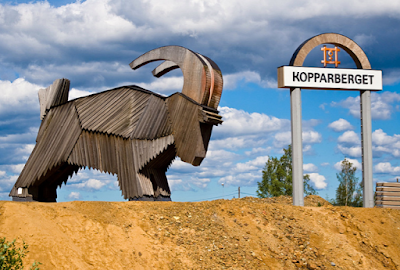 Apparently the wooden statue is there to honour the supposed goat who got red on his horns from copper residue, thus leading to the original discovery of the mine! After Falun it wasn't long before we were pulling into Lidl's car park at Borlange so shopping soon got ticked off our to do list, and refuelling T4rdis2 was also quickly achieved with the cheapest diesel we've seen so far in Sweden - 15.16 SEK of £1.29 a litre. Then next came the acquisition of LPG but this required an 8 mile trip further down the road to a Diving Centre. There we found a very nice English speaking young man who very quickly topped up our tank from an ancient cranky old pump which he explained had been in service since 1992, but it gave us what we wanted so we were quite happy! Next came a bit of backtracking to Lake Hosjon where we parked in a picnic spot with lovely lake views while we consumed our lunch, and while we were thus occupied we debated where we should go next. We're sticking to a very loose schedule (to be at Nordkapp for John's birthday on 10th July), so North was our only option! 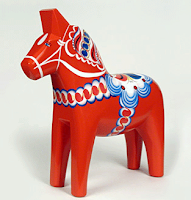 However, on the way we decided to detour to the town of Nusnas because that's where Sweden's most popular souvenir originates - The Dalahast Wooden Horse (The Dala Horse). On the way we passed by the massive Lakes Siljan and Rattvik, and they were so huge and breathtakingly beautiful that you could easily have been forgiven for thinking you were looking at the ocean - it was a shame that we hadn't planned a stop but if we had we'd have missed the opening times for the Dala Horse Shop! This morning we headed straight for Orsa Gronklitts Bjornpark (Bear Park), and as we were only about a mile away it didn't take us long to get there. 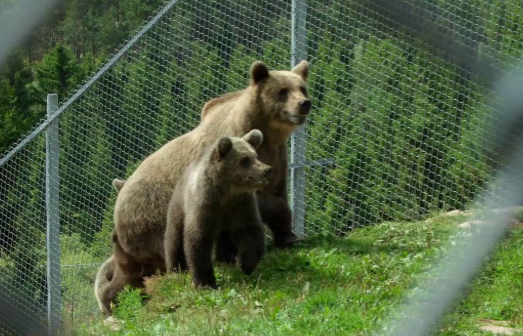 Once inside we found that the animals were kept in huge enclosures and included the four big Nordic predators - bear, wolf, wolverine and lynx, but along with them there were also tigers, leopards, and 2 polar bears. Unfortunately, some of them were a bit shy so at times we only caught fleeting glimpses of them, and we thought maybe the polar bears had gone on their 'jollies' cos they were no where to be seen. The park is set into a steep high hillside, so besides offering a work out for our legs as we toured around it, it also offered far reaching views over Lake Siljan and the surrounding forests. Our first stop was at the wolf enclosure but we couldn't decide if we'd seen 3 different wolves or the same one thrice over as he patrolled his territory! While we were there we learnt that this canine is the original ancestor of ALL dogs - but it's quite hard to contemplate how a Chihuahua and a St Bernard come from the same gene pool! Also, wolves don't bark - they just howl to attract others in their pack - so for us to get a better view John tried playing a wolf howling recording he's got on his phone - the noise made a few human's look round but did nothing to attract any more wolves! We also learnt that in times gone by these animals lived prolifically in many parts of Sweden, but in the 1900s their numbers dwindled and the last Swedish wolf died in the mountains in the 1970s. 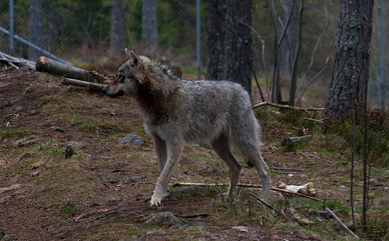 However, in the 1980s a pair of new wolves migrated from the east into the province of Varmland, and later they were joined by a third wolf, so if that info is correct it seems that all the wolves in Sweden originate from those three animals. The info boards also told us that a wolf can kill a human but would only do so if threatened or cornered, so as we'll be going into wolf territory that was quite reassuring! Our second stop was a bear enclosure where Mummy bear tried to ignore her 3 frolicking cubs who were very keen to squabble, scrap and shin up trees. Shame about the fence but they wouldn't let me go in!! The brown bear is Sweden's largest predator (and the'll be in the northern regions where we're going), but throughout history they have been hunted here to near extinction - however that was before they became a protected species. 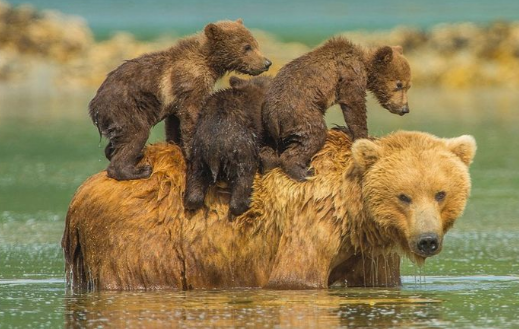 Apparently an adult brown bear can weigh anything from 60 to nearly 1000kg , but like the wolves, they will vanish into thin air at the first sign of humans. We also learnt that they are omnivores so eat both plants and meat, but their favourite food is bilberries - I always thought it was honey 🍯 - and the're also quite partial to ants as well as elk, reindeer or any carrion they can get their paws on. The info boards also told us about the bear's habit of hibernating in winter - they dig out an old abandoned anthill or a gravely slope to make their winter den which they occupy for about 7 months. During that time they live off their fat reserves and can lose nearly half their body weight, but in January the females give birth to their cubs - usually 2 or 3 who weigh in at just over 10 ounces. Apparently they're so small because it's less stressful and less energy consuming for the female to give birth to small cubs and then produce milk for them, rather than to wait and give birth to larger ones. However, once born the cubs grow quickly because of their mothers protein rich milk which usually contains about 60% fat. Our third stop was at the lynx enclosure - another shy and difficult to capture creature. Like some of the other large predators in Sweden the lynx was near to extinction in the 20th century, but they also became a protected species, so now they're once again gaining ground in numbers. They like forested habitats and will only eat what they've killed themselves and that includes animals such as hare, roe deer, and grouse. And much like domestic cats they stalk their prey and then pounce rather than giving chase. Stop 4 was with Sweden's Wolverine which once again was elusive - but this time because the little bugger wouldn't stand still long enough to have his picture taken! John thought it was just me being slow but when he nicked my camera he struggled to capture it - but he did well in the end! We read that in the past people thought that wolverines ate enormous amounts of food because their prey disappeared very quickly, but apparently they're quite economical - they hide their prey and save some for later. 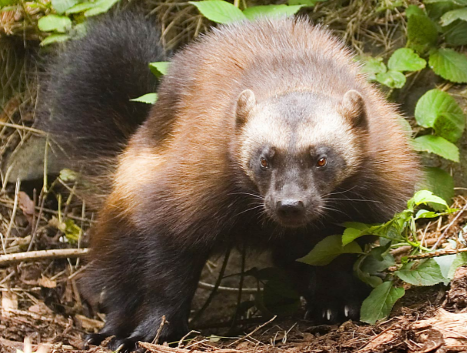 Wolverines are part of the weasel family and are quite small with short legs and bushy tails but they have big feet which they use like snow shoes thus making them much more successful in their winter hunts. So that was the end of Sweden's big 4 but there was still plenty more to see! But Leopard Cub was more interested in playing with Man Cub - or did he just want dinner! And finally these odd creatures were lurking in the park as well! 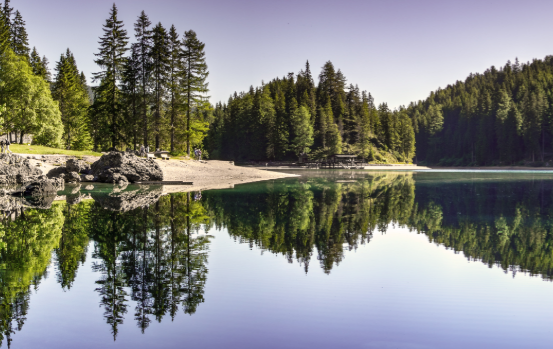 Following our tour we returned to T4rdis2 for lunch and then continued our journey for about another 96 miles into the province of Jamtland, and in so doing we passed by several more beautiful huge lakes which I tried to identify. However, I couldn't manage it, and it's not really surprising when you discover that Sweden has over 97,500 lakes that are larger than 2 acres! As our final destination for today should have been a camper stop in the town of Sveg but that proved to be a red herring - one side of the parking area said 'no caravans' and the other was part of the entrance to a theme park! This resulted in a quick look at our Camper Contact App and we quickly found a naturist site about 7 miles down the road - and thankfully it wasn't a nudist naturist site - just one where you can spend a quite night beside the River Ljusnan at Alvros - as long as you don't mind the company of several thousand more marauding mosquitoes! Hopefully we've shut them all out for the night. Wednesday 20th June 2018 - Weather a mixed bag ⛅⛅🌞☁️🌧️⛅ and also getting colder!! We're now in Jamtland which lies about half way up Sweden and has it's Western border alongside Norway. For many miles we travelled along the E45 through deeply forested and boulder strewn territory which owes much of it's formation to the last ice age. But as we were bombing along the very straight road we almost got a little fright😱! In the distance we could see a big brown and tan spotted bird sat in the middle of the road, but John was quite confident it would move long before we reached it ....... but no.... it just sat there looking stupid, and in the end our anchors had to be tossed out to avoid squishing it, and even when it was right between our two front wheels it took it's time to fly away! I still can't tell you what 'brand' it was but it was definitely suicidal! As we went we passed by several more huge lakes, and in the distance we could see mountains that still had deposits of snow on their slopes. Additionally, for much of our time we were also running along beside the Inlandsbanan which is a 1,300 kilometre train line that passes up the spine of Sweden from the town of Mora to the Arctic Tundra at Gallivare. Originally, it's main purpose was communication and timber transport but that was gradually taken over by road and the entire line closed down in 1992. 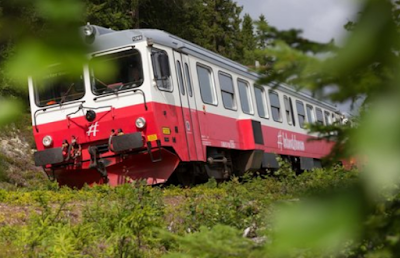 However, later it was sold to the municipalities along the route and reopened for tourists who can now use it to explore a vast part of Sweden's interior. Our route eventually took us to Svenstavik but there our planned deviation from the E45 was prevented by a 20 kilometre stretch of road works. Instead we had to travel up the eastern bank of Sweden's 5th largest lake - Storsjon. 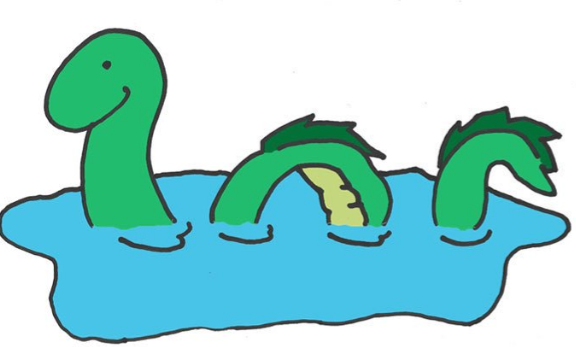 Our plan had been to use the road on the Western side because there is an information centre there that tells about the monsters who are said to have lurked in the Lake's deep dark waters for about nine thousand years! As we passed by we kept a keen eye out but unfortunately we can't claim any sightings! Our new route took us through the main Lake town of Ostersund where we left the E45 and continued our journey along the E14 which very nearly lead us all the way to our next destination which was Tannforsen - Sweden's largest waterfall. Apparently it's been attracting tourists for over 150 years, and now there's parking for motorhomes along with a shop and cafe. Of course, we stayed overnight (for a small fee), and our day was completed by walking the short distance down to the fall to see nature's raw power throwing huge volumes of water over it's rugged staggered drop - it's spray even gave us a free shower! But if we thought it was magnificent today it must be even more so in winter because then it's cascades freeze in mid flow! Thursday 21st June 2018 ⛅⛅🌞☁️🌧️⛅ - much the same as yesterday really! Now, my plan had been to publish this yesterday because I think there's a possibility that some of you might be 😴😴😴by now, but lack of wifi made that impossible! So please bear with me - you've only got one more day to go in the life of John and Lin - and I'll try hard not to make it too long winded!! We left Tannforsen and aimed T4rdis2 at another waterfall - but even if we'd been able to float we couldn't have taken the nautical route because this fall was on a completely different river! Yesterday's waterfall was identified as the largest but today's (Ristafallet) was said to be the most beautiful - I think it would be very hard to judge if they were in a competition. Ristafallet is 50 metres wide and drops 14 metres down over jagged rocks which divert the water in a multitude of directions. Like Tannforsen it freezes in winter but here you can enter a 14 metre cave behind it - but the info says in some places you have to crawl so it wouldn't be for me!! Our next stop was at Mattmars Kyrka with it's lovely old wooden bell tower. The bell tower supports were all intricately carved and unlike anything we've seen previously on our travels, but both the Church that stands next to it and the tower itself were locked so unfortunately we couldn't go in. However, there was nothing to stop us gawking at the magnificent far reaching views of the hills, lakes and forests that stretch out for many miles in front of the church. From there our journey continued to the town of Borgsjo where we'd planned to spend the night on a small campsite beside the tourist info office, however when we went into the office the very nice and helpful chap told us it would be ok to stay overnight on the car-park out front for free - and as it was only from about 5pm - 10am that suited us fine! He also told us that to get to our next destination which is near Sundsvall (on the East Coast) we could continue along the E14 or we could take the much more scenic Ljungandalen tourist route. The latter quite appeals but I'll have to tell you about that in our next episode. So that's it! You've finally got to the end 😂😂 !